In Renaissance times polyphonic music was written in separate music scores (bass, tenor, etc.). Over time, a large number of these scores, often scattered around, disastrously disappeared forever. This was the fate that befell the second book of the Sacrae Cantiones by Carlo Gesualdo (1566-1613), that reached us incomplete which meant that it was impossible to perform without a certain amount of rewriting or recomposing. In 2013, at the behest of the Centre for Advanced Renaissance Studies (CESR) and in the light of recent musicology findings, these pieces were finally restored to their original form. 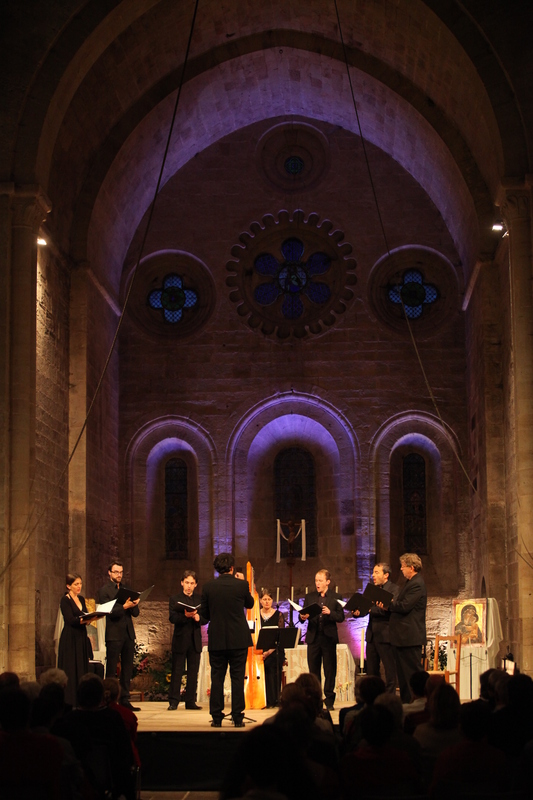 The restoration of monumental musical creation such as the second book of the Sacrae Cantiones by Gesualdo is a major musical event. And a scientific publication will add the finishing touch to this major piece of research. 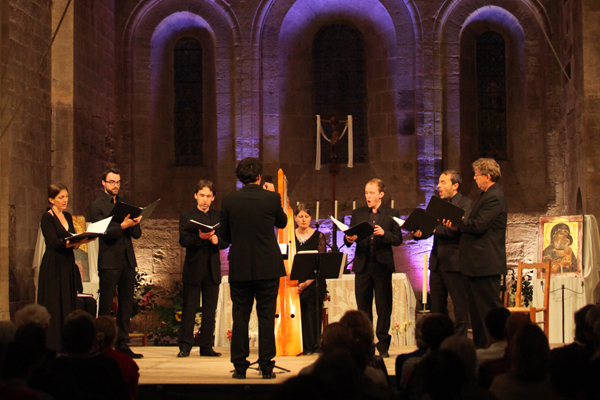 La Main Harmonique is now able to perform and share the final results of this work in a series of concerts that preceded the production of a CD that was released in 2015. 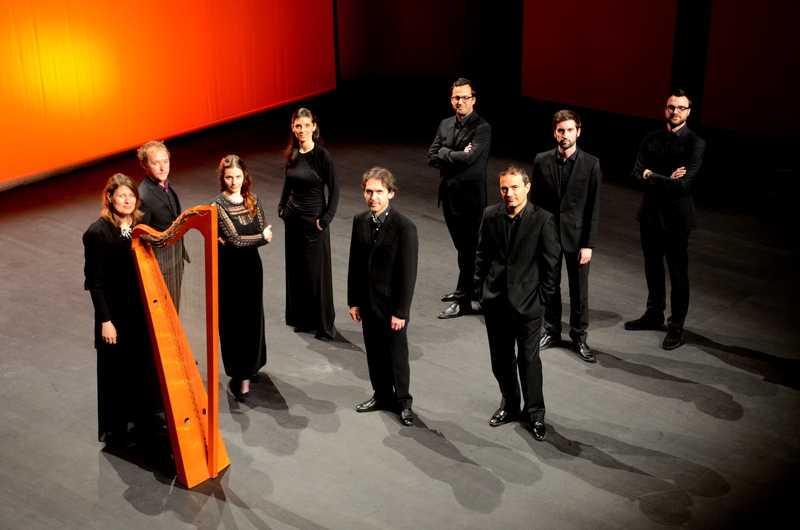 Moreover, as an echo and an extension to this newly revived Sacrae Cantiones, La Main Harmonique has commissioned a piece by Caroline Marçot, thus stretching their dialogue with Gesualdo’s work into a modern creative act. 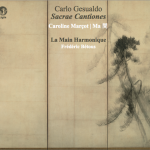 In order to fulfil its policy of combining the old with the new, and to produce a contemporary echo to Sacrae Cantiones, La Main Harmonique commissioned Caroline Marçot to create the contemporary response to certain part of the work by Gesualdo. A dialogue that bears all the hallmarks of La Main Harmonique. Carlo Gesualdo is one of the most emblematic composers of late Renaissance music. As with madrigals we find ourselves without landmarks, held in a sinuous flow, between chromatism and dissonances… and yet this expression of different passions is so beautiful. What do we know about him? That he had his wife and her lover that he discovered in the bedroom of his castle, killed. His youth was a subject of great controversy and aroused a great deal of passion, hatred and rancour. In his old age, although it was very colourful, was a secret quite well kept from the public. Cloistered in his castle in Gesualdo, assailed with remorse, and afflicted by great suffering (asthma, migraines, intestinal problems, etc.) the long-suffering life of this Prince of Venosa came to an end. . It was during this period that the incomparable composer of passionate madrigals dedicated his genius to producing religious works which included the Sacrae Cantiones. They were a possibility for him to express a private devotion, coloured by the spiritual and moral concerns at the end of his life, haunted by the thought of forgiveness for his sins and redemption. The character that is freed of the usual production destined for a liturgical setting, functional par excellence, is in itself a remarkable fact; it explains the incredible freedom that Gesualdo had in not having to worry about how is music was received. The rare dramatic intensity, mainly by using effects from the language of his madrigals, and also via the insertion of chromatic passages, equal the acquired mastery of counterpoint techniques inherited from the great polyphonic tradition of the strict canon strict and the use of cantus firmus. Caroline Marçot was born in Paris in 1974. Her piano training triggered her passion for sound as a threefold phenomenon – sound created, sound performed, sound heard. 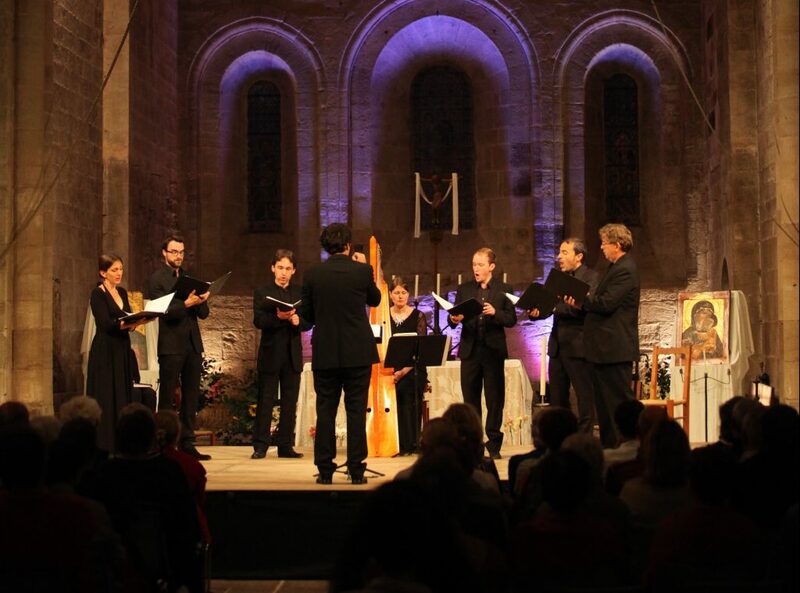 While gathering a strong experience of vocal music at the Maîtrise and then at the Jeune Choeur de Radio-France, both leading young choral ensembles of the French National Broadcasting Corporation, at the same time she was schooled at the Paris Conservatoire and won honours degrees in musical analysis, Renaissance counterpoint, 20th-centruy composition, orchestration and acoustics. As a singer Caroline has regularly performed with various chamber choirs and can be heard in an eclectic repertoire ranging from Baroque to contemporary music – i.e. 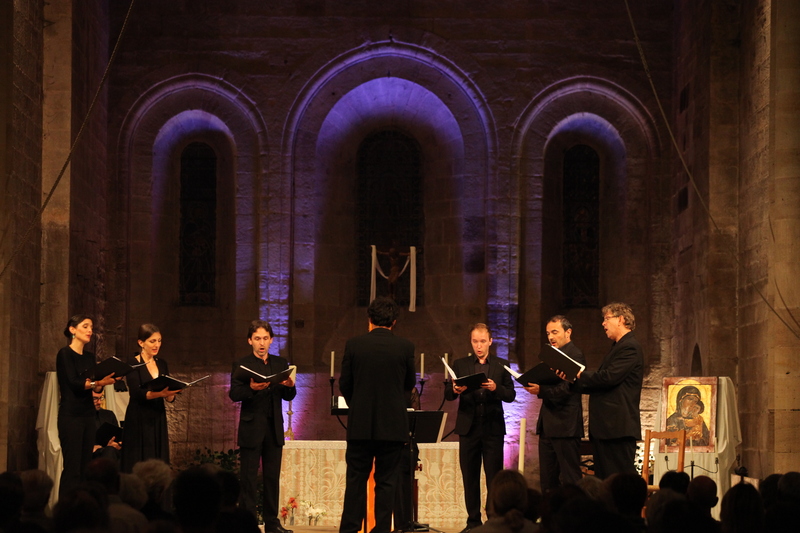 with Mora Vocis, a soloist’s ensemble dedicated to mediaeval, opera and oral transmission styles, or with L’Échelle, an ensemble exploring the humanism of Renaissance vocal music. As she feels particularly attracted by staged vocal perfomances, she is now decidedly turning towards musical and acrobatic performances such as with Cahin-Caha, a contemporary circus company based in Marseilles.